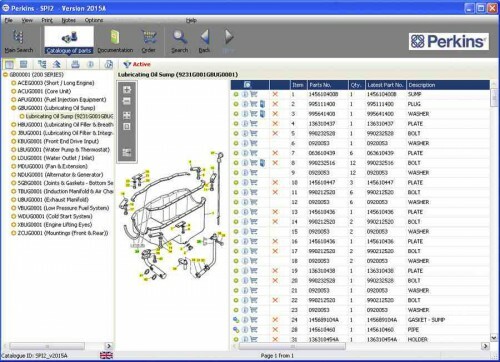 Perkins SPI2 - an electronic version of documentation for Perkins service and parts catalogs for all models of engines brand Perkins. Sets forth the rules of operation of engines, provides information on their regulations, maintenance and repair. The catalog is intended for dealing with maintenance and repair of engines Perkins. Perkins Service & Parts Information (SPI²) enables you to quickly and simply call up spare parts and service information. The system software is found on your SPI² DVD and is available for use under licence from Perkins Engines Ltd.
Activation: Need activation. Please contact our customer service after you installing software.